Ventilate. EZ Breathe™ draws moist, stale air out of the home. Replenish. It replaces moist air with fresh, dry air. A complete home air exchange occurs about 10 times each day. Regulate. 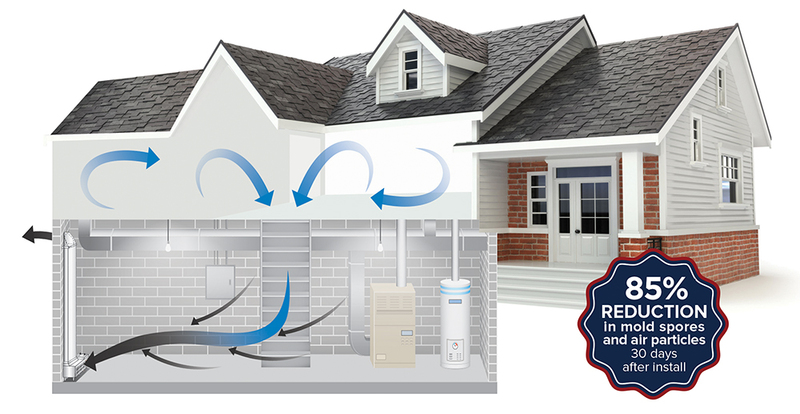 Airflow is monitored to reach and maintain a desired level of humidity.